Thomas Hardy (1840-1928), British novelist, poet. Far from the Madding Crowd, ch. VI (1874). We cannot plan everything. 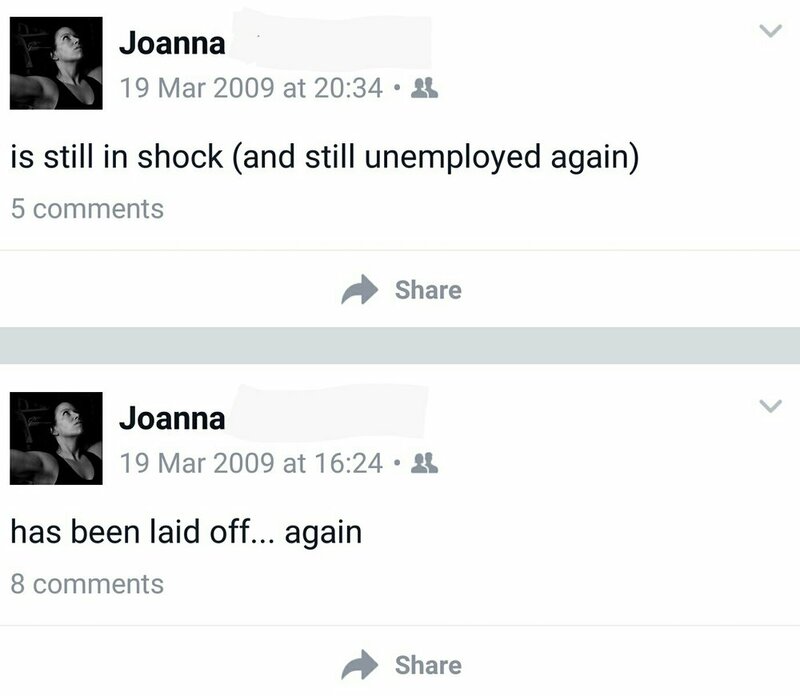 Today's pic is my Facebook statuses from eight years ago today. Working as an Executive Assistant in London, to a EMEA Sales Director in a telecoms company, this was my second redundancy in the space of 5 months. At the time, I was utterly devastated and my self esteem totally crashed. I thought I was worthless, useless, unemployable. I looked back on my 'wasted' education; my academic career having abruptly ended in an aborted PhD. I looked back on every job I had tried and 'failed' at; never able to progress in hospitality and catering as I always found myself too frustrated or perceived myself as undervalued; temp jobs, tutoring, a decade in retail, sales, even library work (yeah, I know - ME, in a library 😂)... years and years of often challenging, but ultimately not-quite-right work. Seizing the moment is just as much about embracing forced change as it is about revelling in the awesome times. Sure, you might not have a clue what to do in order to exploit unexpected opportunity, but as my man Tom H said at the beginning, you can blag it once you own it. You'll notice I'm paraphrasing. You're not going to be able to predict every twist in the plot, but you sure as hell can start a few new chapters. 8 years later, I realise that without leaving (or being forced to leave lol) those EA/Office Manager roles, I never would have become self employed (6 years now), I never would've retrained as a PT (vocational training wasn't even part of my vocabulary at the time) and I never would've had the chance to build my own palace of wonder. Or even a fitness studio. But even more importantly, without doing all of those courses and those other jobs, learning all of those skills and meeting all those different people, I wouldn't have ended up here, loving my work and doing things this way. Eight years isn't even really a long time. Seize all of the moments, the good ones, the stinkers, the mundane, the stomach sinking ones and the flying high exhilarating ones. Don't be afraid to change path if you're not getting anywhere. You will never get new results from old habits.